February 19 News | Jobs in Radio, Audio, Film. London-based Recording Connection mentor Dax Liniere has an impressive repertoire that spans hard rock, to pop, to world and indie, and more. The multi-award-winning record producer and mixer believes stellar music production shouldn’t be about one rigid way of doing things; great production should meet the needs of the music and motives of the artist. Dax looks forward to training the next generation of audio engineers and producers at his newly opened Puzzle Factory Sound Studios, located just 15 minutes from the center of London. Also a columnist for AudioTechnology Magazine, he’s studied with a number of the greats including Alan Moulder, Michael Brauer, Joe Chiccarelli and Flood. Below are a few choice excerpts from our recent conversation with Dax along with some valuable drum micing tips to put into practice. Enjoy! RRFC: What was your journey into audio engineering and music production? 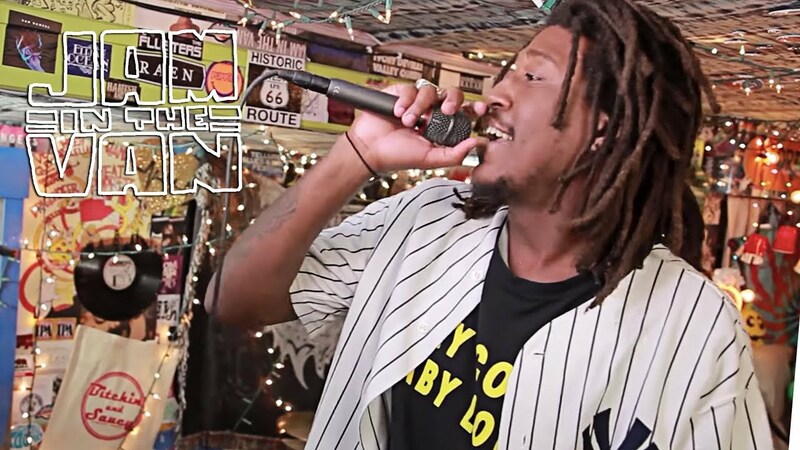 Dax: When I was in high school, I started engineering by building a little two-channel microphone preamp and recording my friends’ bands, and it just kept going from there. I was about 20, I think it was. I was working a job that I really hated, for a boss I really didn’t like. I’d been building up this little studio, and I always bought the best gear that I could. From there, I just thought, ‘Well, why not give this thing a try, you know? I hate this job anyway. Let’s get out of here and let’s give this a try, try my hand at starting my own business.’ Well, 17 years later, here we are! I’ve just moved to London and set up a premium studio complex here. RRFC: As the recipient of the 2012 Winston Churchill Memorial Fellowship you got the opportunity to study with a few music industry giants. Could you tell us a bit about the experience? Dax: I came to Europe and spent six weeks over here. The first week was with Michael Brauer at Mix With The Masters… then I spent 16 days travelling around Europe, visiting a whole lot of studios, and sitting in on sessions, talking with other engineers, and discussing all kinds of engineering things. Then I was lucky enough to have another week in the south of France with Joe Chiccarelli, also Mix With The Masters. And that was phenomenal. He’s super-talented and just a lovely guy to boot. And if that wasn’t enough, I then went over to London and spent two weeks in the studio with Alan Moulder and Flood… Alan had just come back from holidays after having mixed the latest Led Zeppelin record, which was a live concert, a month of mixing on that one…He’s done Foo Fighters and most Nine Inch Nails records, Foals, and Depeche Mode, Royal Blood, and all sorts. They were working on Foals’ album Holy Fire when I was there, which they were coproducing, so I had the chance to learn from those two, which was fantastic. RRFC: As someone who’s lectured at traditional audio schools, what do you appreciate about Recording Connection’s approach to in-studio training? Dax: One of the problems with the traditional style of audio courses, is that they go over all the theoretical stuff, but miss the mark when it comes to practical experiences. They teach you how a compressor is intended to work, but they never teach you how to actually use one… If I’d had someone who could have listened to my mixes, and said, ‘Yeah, that’s good, but you could improve this part. No, you need to rework your kick drum, more like this. Your vocals need to stand out more, cut this frequency,’ whatever it may happen to be, I know that I would have gotten to where I am much sooner. This makes one-to-one education arguably more relevant, especially in these times of rapid change. RRFC: Being a drummer yourself, could you share some drum micing techniques that work for you? Dax: The most important thing, before anything else, is tuning the drum kit. Learning how to tune a drum kit is an invaluable skill for any studio engineer. It’s one of those things, again, that I’ve never seen taught at an audio engineering school, and it’s paramount. More drummers than you’d expect, regardless of their playing skill, don’t really know how to tune a drum kit for the studio. I can tell you about mic choices or positions, but what it really comes down to is preparing the instrument, whatever it happens to be, and then listening to it in the room. Does it sound right before you even put a microphone on it? Because if it doesn’t sound good in the room, putting a microphone on it is only going to amplify that… So get the instrument sounding as great as possible first, then go from that point. One quick tip, I think people often mistakenly tune toms way too high. Keep them out of dogs’ hearing range. [On a] cardioid pattern microphone you have a lobe of rejection at the back of the microphone. You can use this to your advantage. You don’t just want to point the microphone at the thing you want to capture, you also want to point the back of the microphone at the thing you don’t want to capture. So in the case of micing up a snare drum, for example, you don’t want too much hi-hat spill into that microphone. So what you can do is position the mic in such a way that the front of the mic is pointing towards the snare drum, but the back of the mic is pointing towards the hi-hats. By doing that, you’ll give yourself much less spill [and] isolate the bleed a lot more. A lot of people put a kick drum mic just outside or in-line with the head of the drum. I’m actually a big fan of putting the kick mic inside the drum. Actually, I’ve built a custom stand to be able to get right inside the kick drum. You can get some really great sounds that way, as long as you damp the drum down first. You don’t want it to be too live inside or it sounds like a basketball. RRFC: What do you look for in potential apprentices/externs? Dax: Number 1: Attitude. This encapsulates, ‘Are they truly willing to learn, are they enthusiastic, are they motivated, are they self-directed, can they be a part of a team, can they make things happen themselves, and are they observant?’ That’s another big one. Are they paying attention to what’s going on around them? That’s one of the essential traits for any studio assistant, or for any vocation, for that matter. Want to train with Dax Liniere in London? Learn more. 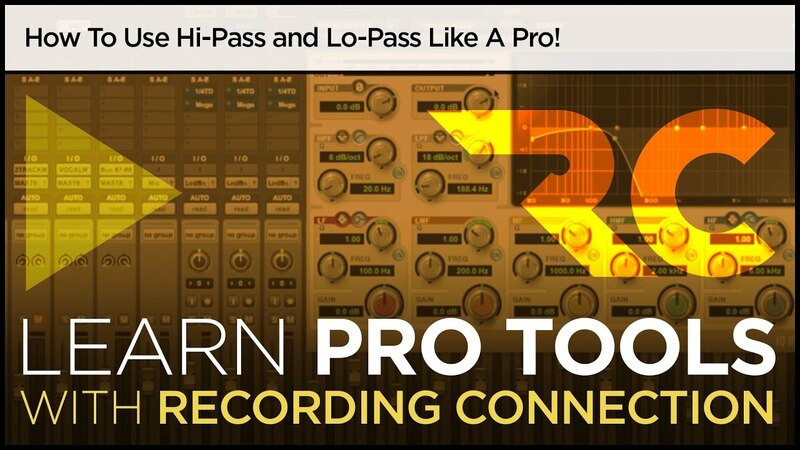 Pro Tools Tutorial: Make Certain Elements Stand Out with Hi-Pass, Lo-Pass Filters!